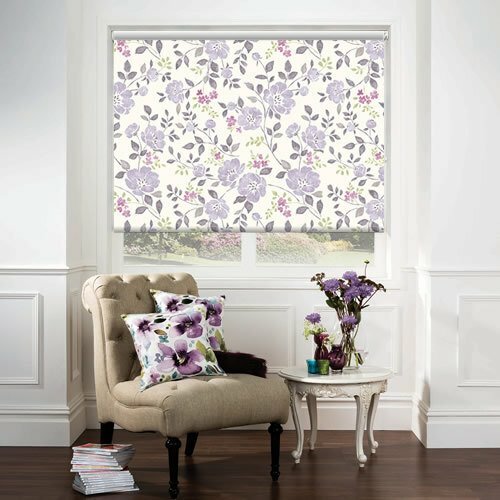 The seductive colour combination along with the fresh hand-painted style of these luxurious floral patterned blackout roller blinds is a beauty to behold. 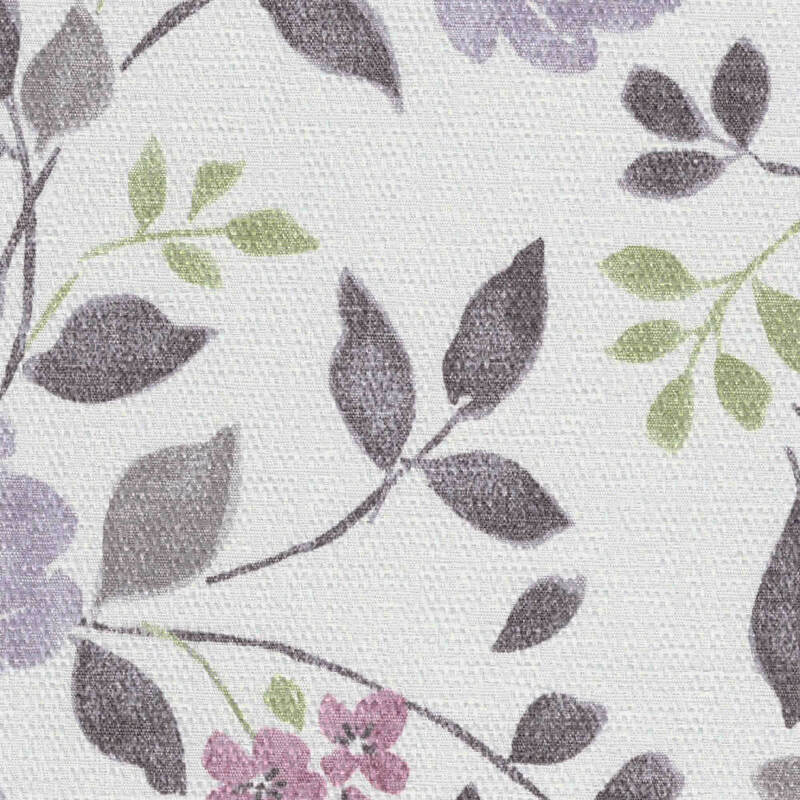 Their rich pastel tones of lilac, purple and green is set against a shimmering textured white backdrop. Fast, efficient and excellent product. 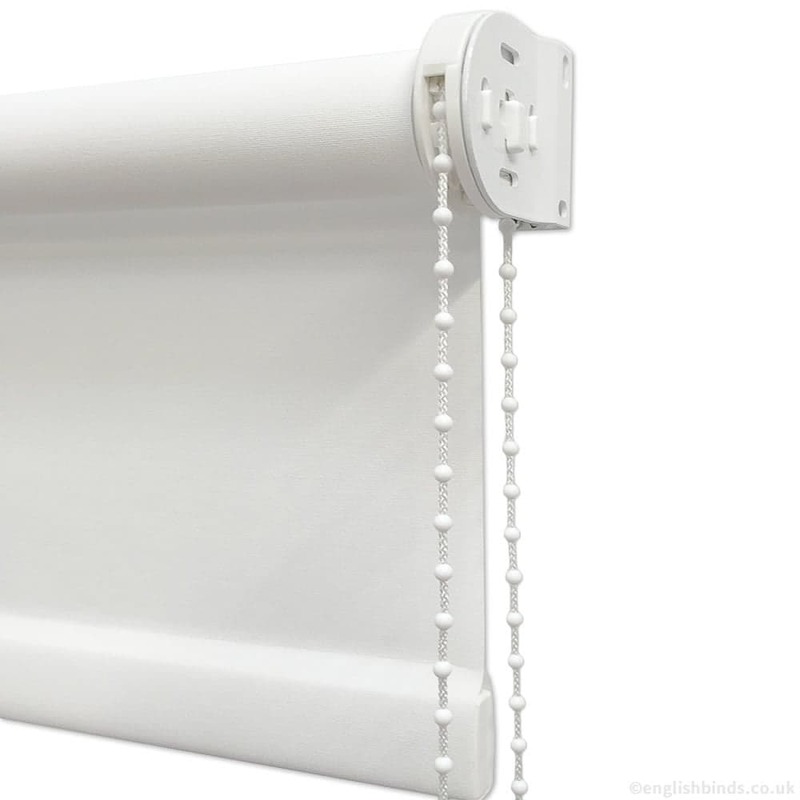 The blinds were beautifully made and finished and came with everything including screws and raw plugs for fitting. 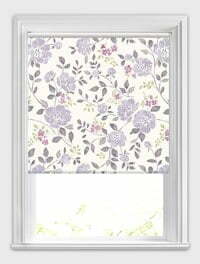 Very impressed and would definitely use English Blinds again! In fact, have been look around at some others maybe to replace! Thank you. Excellent as always. 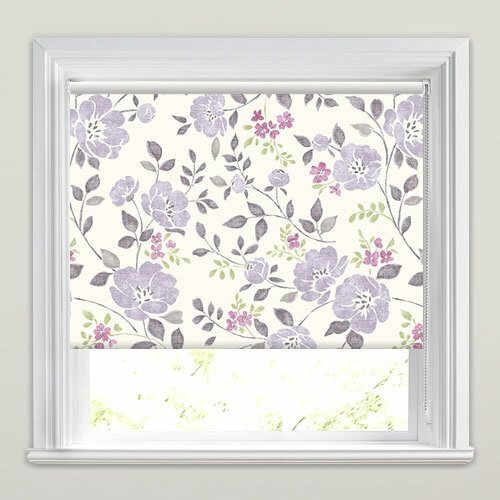 Have used English Blinds for several years. Very happy with the service. We asked for lots of samples up front and these were delivered promptly and labelled very clearly. When we ordered, the website was very clear as to how to measure etc. 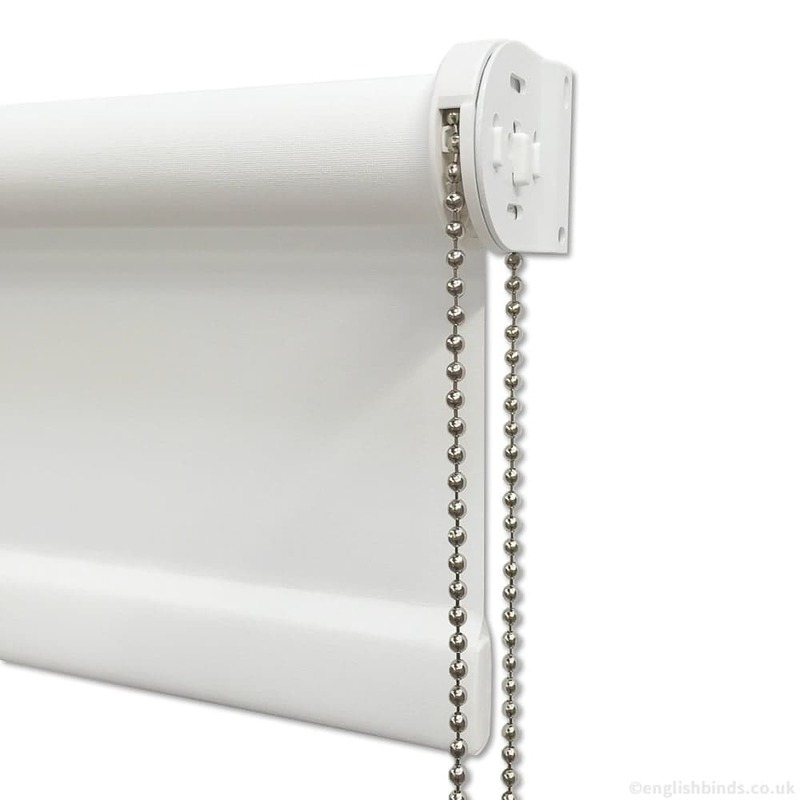 Blinds delivered well packaged with clear instructions and good quality brackets. Blind fabric was good quality and overall very happy with the process, would recommend to anyone.